This article, based on Jim Hagerman’s circuit, shows mathematically derived values for perfect response, and some practical implementations. After completing my LP797 MM/MC phono preamp’, I laboriously determined the proto type to have an RIAA accuracy of ±0.07dB over most of the audio band. To simplify the measurement on additional units, and also eliminate errors due to the meter or analyzer having to deal with the large RIAA gain range, I built a very accurate inverse RIAA network (IRN). Figure 1 shows the ideal values (close enough for ±1 micro dB accuracy) for a constant voltage (zero impedance) source and unloaded output. (Who says audio isn’t driving me nuts?) 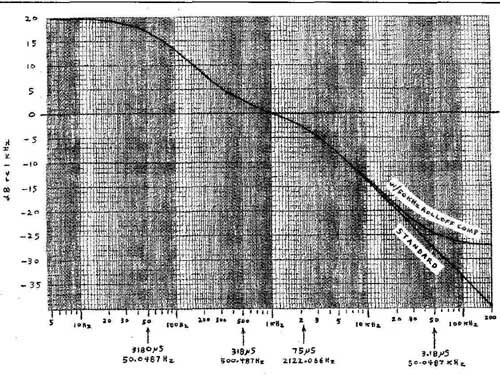 A standard MM cartridge load of 47k and an unlikely high 500pF would produce a maximum response curve error of 0.005dB. Figure 2 shows the IRN I built with values selected on a Fluke 189 multi- meter. Then I carefully measured its response with that meter (with its 0.01dB resolution and frequency counter), and checked against errors from the wide gain range by using precision attenuators to equalize the in/out levels. The DC -20kHz response error was within ±0.027dB. Then I tested the LP797 preamp again, this time with the IRN. The result was within ±0.03dB of the direct preamp measurement. FIGURE 1: Inverse RIAA network; precise values for 1 micro dB accuracy and -40dB at 1kHz. FIGURE 2: Inverse RIAA network; selected values in actual circuit, ±0.03dB accuracy. If this isn’t close enough, you either have an exceptionally accurate preamp or should seek professional counseling! (If you think that about me, you’re not alone!) Before renewing my appreciation for vinyl, I used to laugh at concerns over 0.1dB RIAA accuracy (moving your head 1mm can make that difference). 1) I needed the math exercise, and 2) I wanted to be certain that if I were to hear anything wrong with my phono preamp, it wasn’t because of RTAA errors (I haven’t heard anything wrong). 1. The input resistor shown (1.7955k-ohm) is appropriate if a) the IRN is driven from a constant voltage source (near zero impedance), or (with a 50, 600, 1000-ohm, or other source) the input voltage is measured at the point labeled V1. 2. 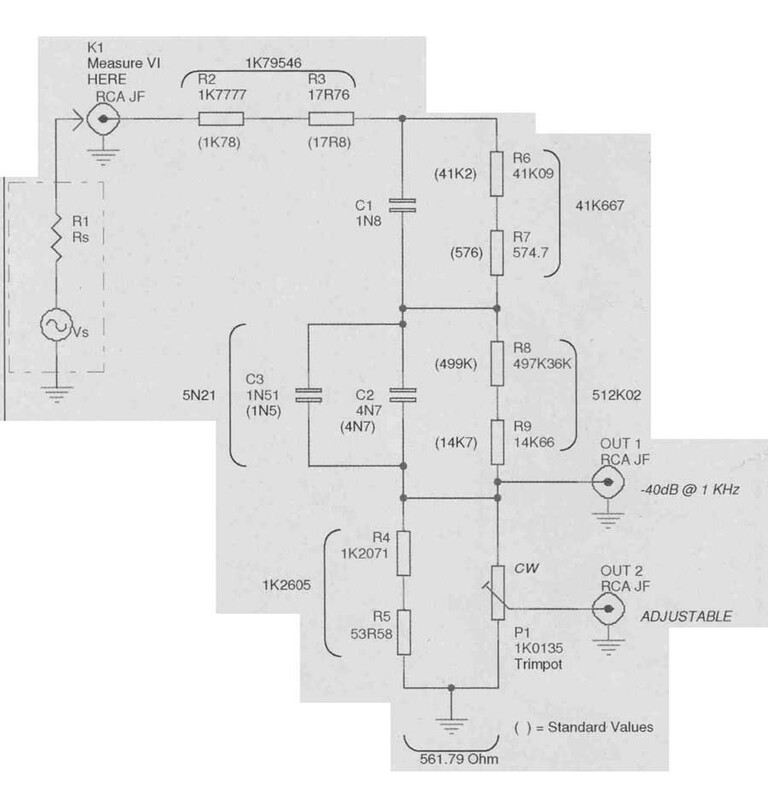 The adjustable output (OUT2) can be attenuated for MC preamps (60dB gain typical at 1kHz). 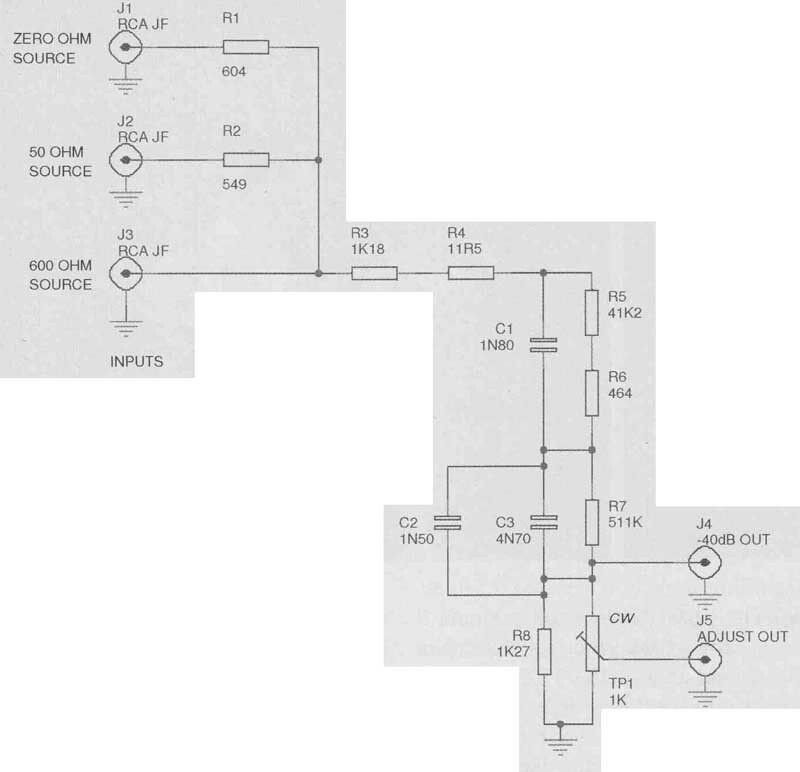 Then the IRN output impedance is low enough (about 100-ohm), and isolated by the trimpot, so that low-z preamp inputs will produce only a gain reduction, not response errors. Regarding note 1: If you use a 50, 60, 1000-ohm or other source and calibrate it for its no-load frequency response, then you should reduce the 1.7955k input resistor value by the driving source’s out put resistance; e.g., 1.1955k for a 600-ohm source. Then, V1 is effectively the no- load source voltage. Regarding note 2: The trimpot is very useful for any phono preamp by minimizing measurement errors. Using the Fluke 189 meter’s “Delta dB” function on the AC volt/mV scales as an example, I set the trimpot for exactly unity gain overall at 1kHz, with my LP797 preamp in MM mode. Then, at each frequency step in a 20, 50, 100, 200, 500Hz (and so on) sequence, I zeroed the “Delta dB” meter reading on the “V1” point (Fig. 2). This way, moving the meter cable to the preamp output directly showed the preamp’s RIAA error relative to 1kHz. The meter is then most accurate, com paring very close voltages. Its resolution is 0.01dB. The same benefit applies to computer swept response measurements in which you can use an expanded dB error scale (e.g., ±0.2dB full-scale for very accurate preamps). You can scale the idealized values in Fig. 1 up or down in impedance by multiplying the resistances and dividing the capacitances by the same scaling factor. Basing the values around the 1n80nF cap as I did produces reasonably high input and low output impedances. As shown in Photos 1-3, I simply glued the trimpot and input jacks (paralleled; one is for a meter at V1) to a piece of wood, then soldered on everything else, including the 6” output cables. Even with the circuit unshielded, there’s no problem with hum pickup, if V1 is 1-3V RMS. 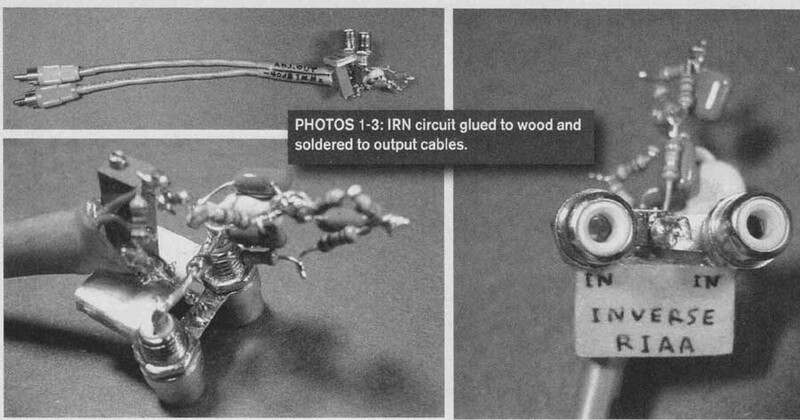 Of course, you would probably rather build the IRN in a small metal box, in case there’s a high electrical noise level nearby. Figure 4 shows the RIAA playback curve. Imagine looking at this in a mirror placed above the top of the graph; that, of course, is the inverse RIAA curve. The “50kHz rolloff compensation” portion, so inverted, is a flattening of the HF pre-emphasis above 2i22Hz used in recording. This flattening is used to protect cutter heads (with up to 3500W amplifiers!) from ultrasonic transients. Because many (if not most) new phono preamps have this compensation, the IRN of this article has the 50kHz leveling off. Thus, the IRN duplicates the recording curve used now. Figure 4 also shows the four frequency break points (poles and zeroes) and their time constants. 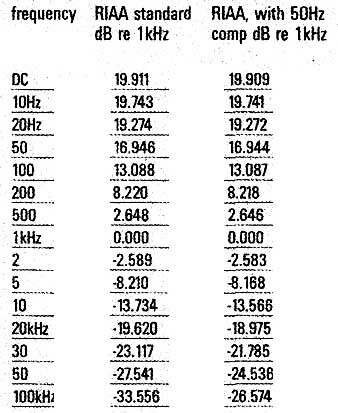 Table 1 shows RIAA playback response values of various frequencies, relative to 1kHz, accurate to ±0.001dB. FIGURE 3: Practical inverse RIAA network. Figure 3 shows the circuit using standard 1% resistors. The caps should be selected to 1%. Then, the worst-case response error is ±0.17dB, but with random component tolerance distribution the error should be within about ±0.1dB. As mentioned, the 50 and 600 ohm source inputs are for the source being open-load calibrated. To monitor the network’s calibrated V1 signal, connect the meter, analyzer, and so on, and the source (of any impedance) to the “0 ohm source” input. Then, the dB difference between the preamp output and this V1 reference is the preamp response. 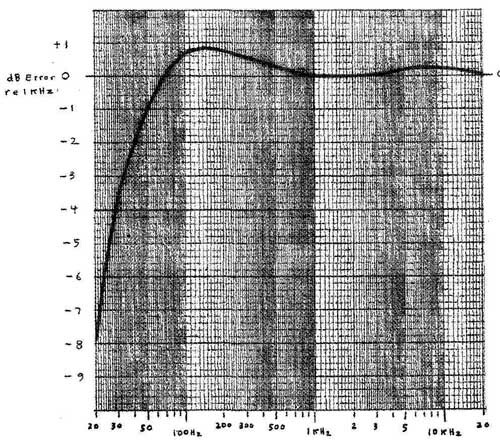 Figure 5 shows the RIAA error of the phono input of my Scott 222D tube amp. Although I upgraded the power supply and power amp caps, I left the phono section alone. The RIAA accuracy is ±1dB from 50Hz -20kHz, not bad for around 1965! Back then, I had AR speakers with good bass response (for 1965) and overall flatness. I remember LPs having (in addition to studio “equalization”) a “warm” midbass emphasis, and also a lack of deep bass (pipe organs, and so on). Of course, I wasn’t at all shy about boosting the bass tone control! But now, looking at Fig. 5, it agrees with what I remember hearing 40 years ago. Ed Dell says, “Pleasure is a great stimulator of memory.” Yes, enjoying music certainly registers well in life’s (probably eternal) memory banks! Fast-forward to the present (it takes us about 0.1 second to do that). Figure 6 shows the RTAA accuracy of my recently completed LP797 phono preamp. 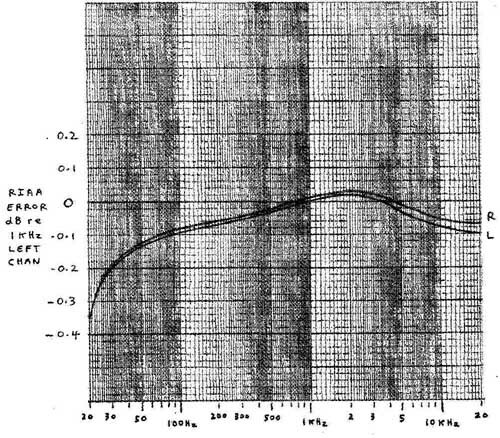 The vertical scale is 0.1dB per major division, thus 10 x expanded regarding Fig. 5 with the Scott amp. Forty years, ten times the accuracy. That’s progress. And fortunately, now we can buy LPs (from Acoustic Sounds, Music Direct, and so on) that have been mastered honestly without studio “production.” The musicians should do the production, the recording should simply capture it, and your phono preamp should transparently reproduce it. An IRN won’t reveal everything affecting sonic transparency, but it greatly improves the accuracy and ease of the preamp’s frequency response measurement. FIGURE 4: RIAA playback curve. On second thought, you can use the IRN to hear your preamp’s transparency (you hope) or deficiencies (you hope not). Based on the “intrinsic fidelity” test method (simple but precise level- matched input/output comparison) I connected the IRN to the LP797 preamp, and with the trimpot in Fig. 2, adjusted for unity overall gain (±0.02dB at 1kHz). FIGURE 5: RIAA error, H.H. Scott 222D, left channel, “mag high” input to tape monitor output. 1 KHz gain = 34.2dB. 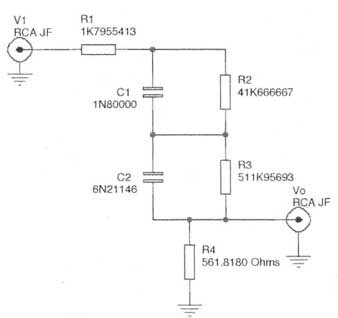 FIGURE 6: RIAA error of LP797 phono preamp. Figure 7 shows the setup. I built two IRNs so I could listen in stereo (one channel shown here). The SACD player’s output impedance is 1k-ohm, which produces a slight IRN response error (because my IRN is calibrated for a zero impedance source). However, the IRN is connected to the source in both A/B switch positions, and the head phone amp has a high Z input. Thus the slight response error mentioned is constant in both switch positions; the “V1” point in Fig. 2 is what’s being listened to either directly or through the IRN/preamp path. The gains (calibrated at 1kHz) remain matched. The Sennheiser HD-650 phones are extremely neutral, wideband, and transparent. Switching back and forth repeatedly, with both long musical segments and after only a few notes, made no audible difference. My hearing is very good, threshold within 3dB of the “standard good-hearing audiogram,” but admittedly I can hear up to 14kHz. A young person could possibly hear something I didn’t in that rarefied top half-octave. While this test doesn’t show MM cartridge capacitive loading effects and so on, it’s a good first qualify step. I’m happy that I heard no distortion, coloration, or resolution reduction. Happy phono preamp testing! FIGURE 7: Phono preamp intrinsic fidelity test (one channel shown, two IRNs used for stereo).